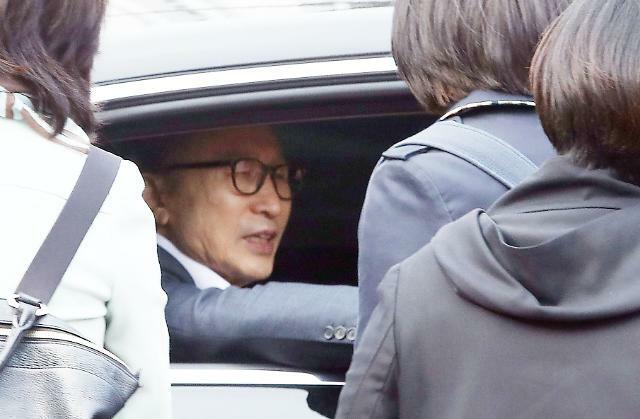 SEOUL -- South Korea's jailed ex-president Lee Myung-bak smiled as an appeals court released him on bail on condition that the 77-year-old should put himself into virtual house arrest and exercise more than one hour every day. 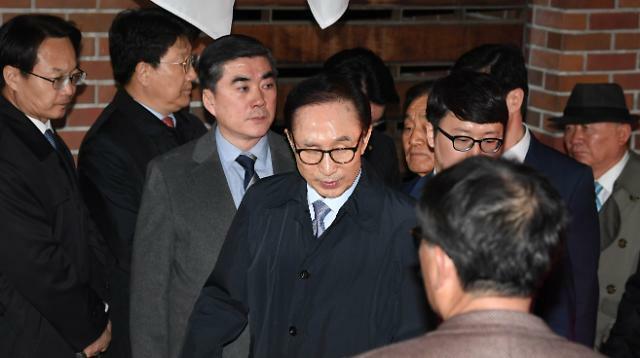 Lee, who served as president from 2008 to early 2013, was escorted by security guards and police into his house in southern Seoul on Wednesday, more than 11 months after he was arrested on corruption, embezzlement and other charges. 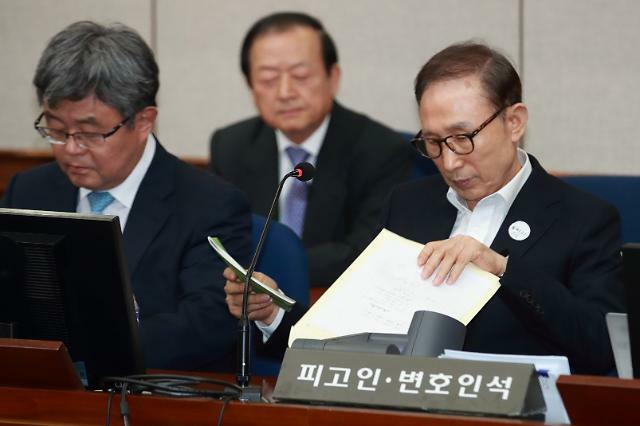 The High Court in Seoul approved Lee's release on bail of one billion won ($885,960). He was ordered to stay inside his home, meet or communicate only with his immediate family members and lawyers. He should get approval for hospital visits and submit logs on daily activities. Lee was not released because of ill health, the court said, warning he could be sent back to prison for unauthorized activity. "From now, I have to plod the path of toil," he said in the courtroom, shaking hands with aides. He smiled and waved to a group of supporters chanting his name outside the court. On October 5, a lower court sentenced Lee to 15 years. 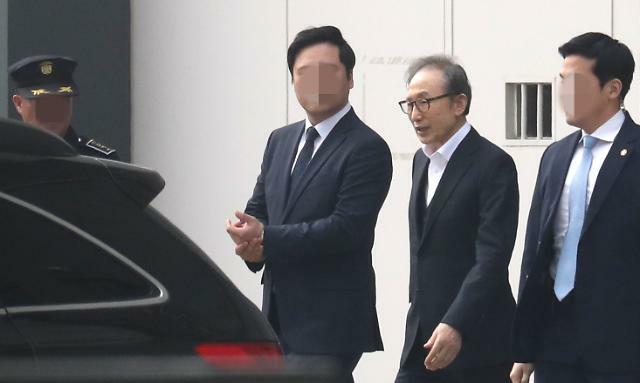 He has asserted his innocence, arguing prosecutors brought charges based on unreliable evidence, but he was found guilty of embezzling a company fund of 24.6 billion won and taking bribes from Samsung Electronics and others. 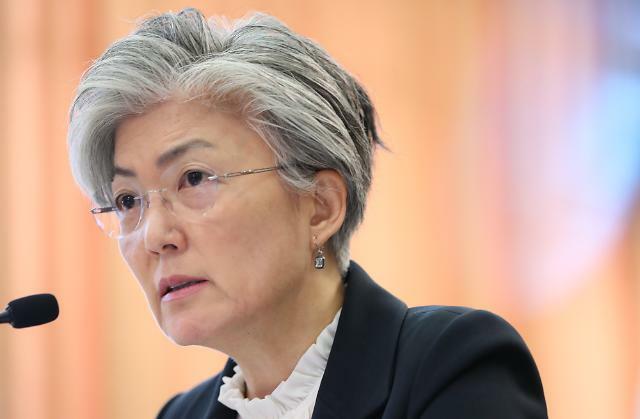 The businessman-turned-politician was convicted of taking bribes in return for favors that included $5.2 million from Samsung as well an illegal payment from South Korea's spy agency.